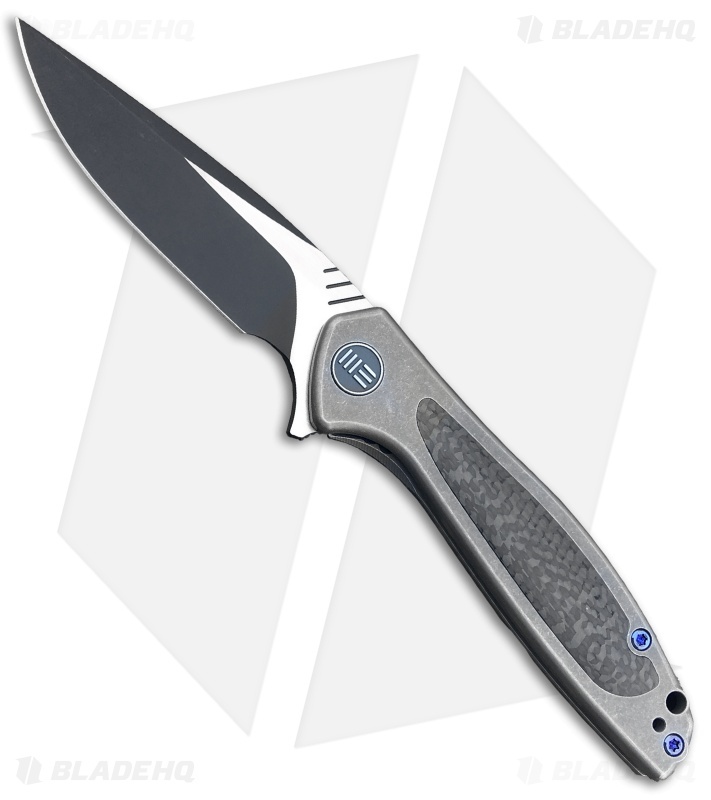 This Wisp model sports a tumbled titanium handle with carbon fiber inlays and a black finished blade. 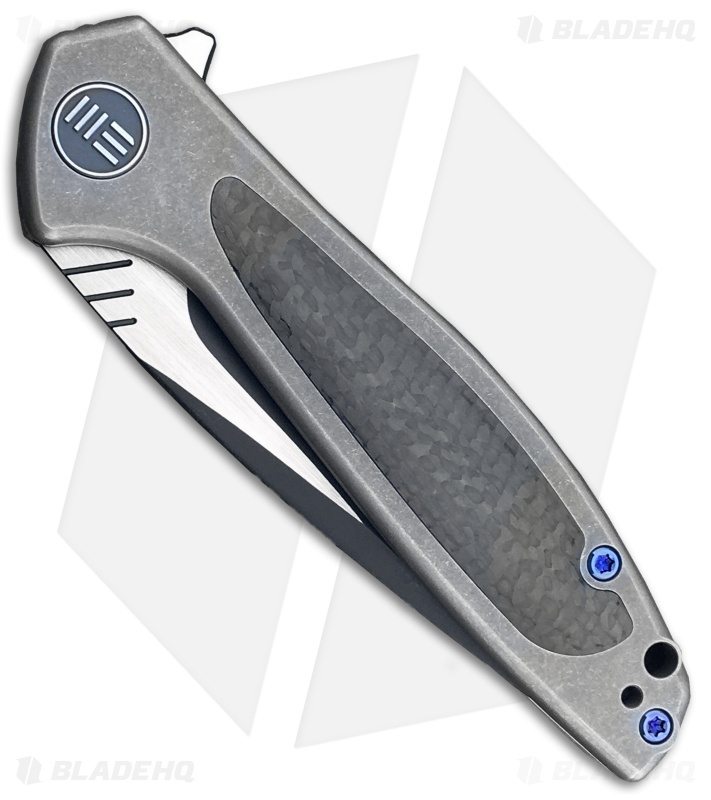 The WE Knife Co. Wisp offers a full-size folding knife with a slim EDC build. Manage any large cutting task without being weighed down by an overbuilt monstrosity. A flipper opener and ceramic bearings offer rapid deployment so you can always have your blade ready. 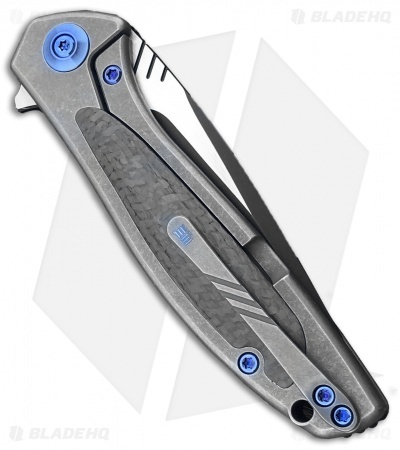 Take your EDC game up a notch with the WE Knife Co. Wisp folding knife. I'd been carrying a ZT 0450, a sprint run G10 version, which I liked very much. Although it would have been difficult to improve on it, there were a few things I could complain about. This Wisp, much to my amazement, runs circles around it. First off, the ZT is good looking on the show side, and boring as hell on the other. The Wisp is beautiful from any angle. 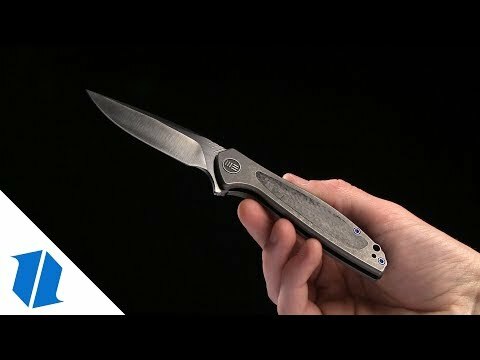 The frame lock on the 0450 overwhelmed that side of the knife, and since I'm a lefty I had to alter my finger positioning to avoid getting tangled up it it while deploying the ZT. The frame lock area on the Wisp is so much smaller, it makes that issue go away. If the detent wasn’t so unreasonable I’d love the design.